John Rutter has been associated with The Bach Choir for many years. He became a Vice President in 2006, before succeeding the late Leopold de Rothschild as President in 2013. 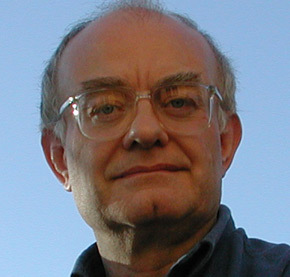 Born in London in 1945, John Rutter studied music at Clare College, Cambridge, where he wrote his first published compositions and conducted his first recording while still a student. His compositional career has embraced both large and small-scale choral works, orchestral and instrumental pieces, a piano concerto, two children’s operas, music for television, and specialist writing for such groups as the Philip Jones Brass Ensemble and the King’s Singers. His larger choral works, Gloria (1974), Requiem (1985), Magnificat (1990), Psalmfest (1993) and Mass of the Children (2003) have been performed many times in Britain, North America, and a growing number of other countries. He co-edited four volumes in the Carols for Choirs series with Sir David Willcocks, and edited the Oxford Choral Classics series. From 1975 to 1979 he returned to Clare College, Cambridge as Director of Music; after giving up the Clare post to allow more time for composition, he formed the Cambridge Singers as a professional chamber choir primarily dedicated to recording, and he now divides his time between composition and conducting. He has guest-conducted or lectured at many concert halls, universities, churches, music festivals, and conferences in Europe, Africa, North and Central America and Australasia. In 1980 he was made an honorary Fellow of Westminster Choir College, Princeton, and in 1988 a Fellow of the Guild of Church Musicians. In 1996 the Archbishop of Canterbury conferred a Lambeth Doctorate of Music upon him in recognition of his contribution to church music. He was awarded a CBE for services to music in the 2007 Queen’s New Year Honours List.